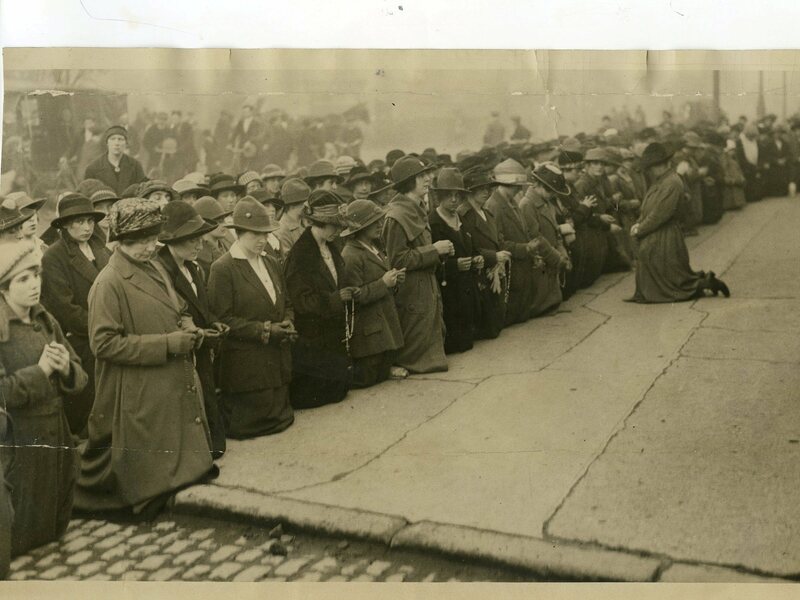 A press photograph of a crowd of people praying outside Mountjoy Prison in Dublin for Kevin Barry in November 1920 is a feature lot at the next sale at Limerick Auction Rooms on April 24. 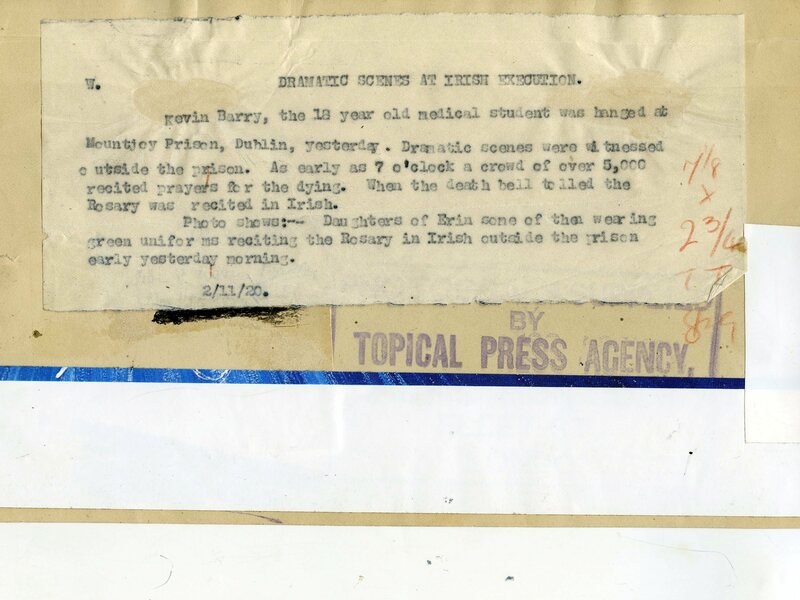 The historic press photograph, complete with typed caption on the back, is headed: Dramatic Scenes at Irish Execution: Kevin Barry, the 18 year old medical student, was hanged at Mountjoy Prison, Dublin, yesterday. Dramatic scenes were witnessed outside the prison. As early as 7 o clock a crowd of over 5,000 recited prayers for the dating. When the death bell tolled the Rosary was recited in Irish. Photo shows: Daughters of Erin some of them wearing green uniforms reciting the Rosary in Irish outside the prison yesterday morning. The photo is estimated at 500-1,000. There are a number of press photographs of everything from fighting in Dublin, snipers at work near the Gresham Hotel, Republican troops guarding the courthouse in Sligo to prevent a meeting of Free State troops, the burning of the Customs House and men and women praying outside Pentonville Prison in London. 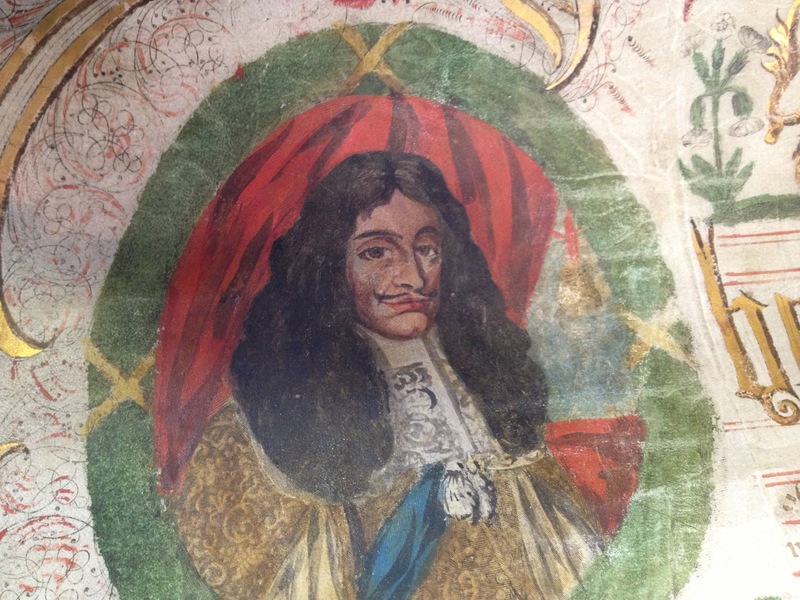 There is a 1667 Charles II Ireland document on vellum with a lease from the Duke of Ormond to Thomas Brightwell totaling 2,400 acres in seven towns and villages in Co. Waterford. There is a painted portrait of the king and an almost complete seal. (Click on any image to enlarge it). The image of Charles II on the ancient Irish lease. 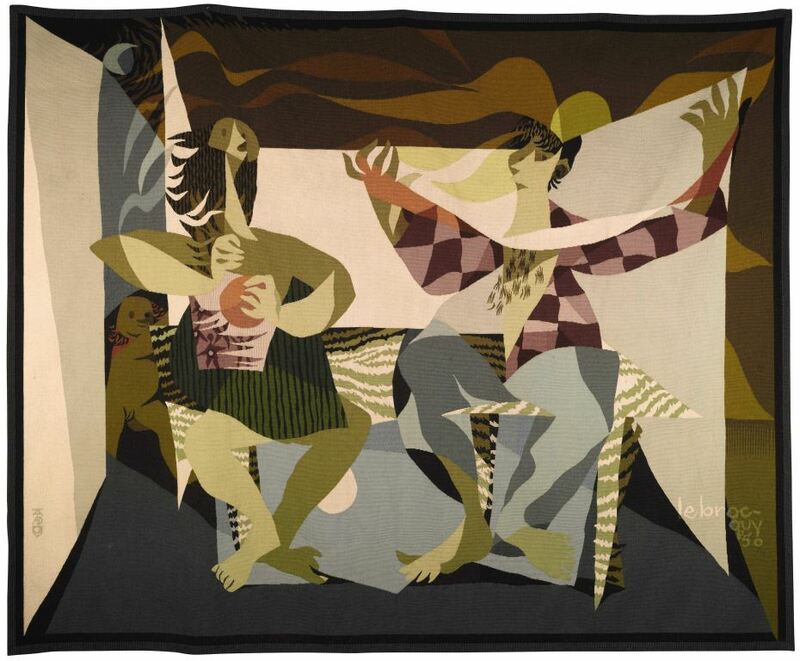 UPDATE: THIS SOLD FOR 5,500. 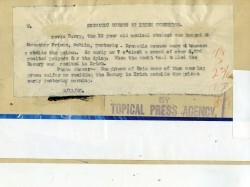 The caption on the reverse of the Kevin Barry photograph. 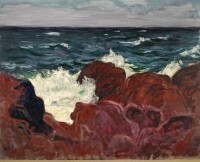 Roderic O’Conor – Red Rocks and Sea (£200,000-300,000). 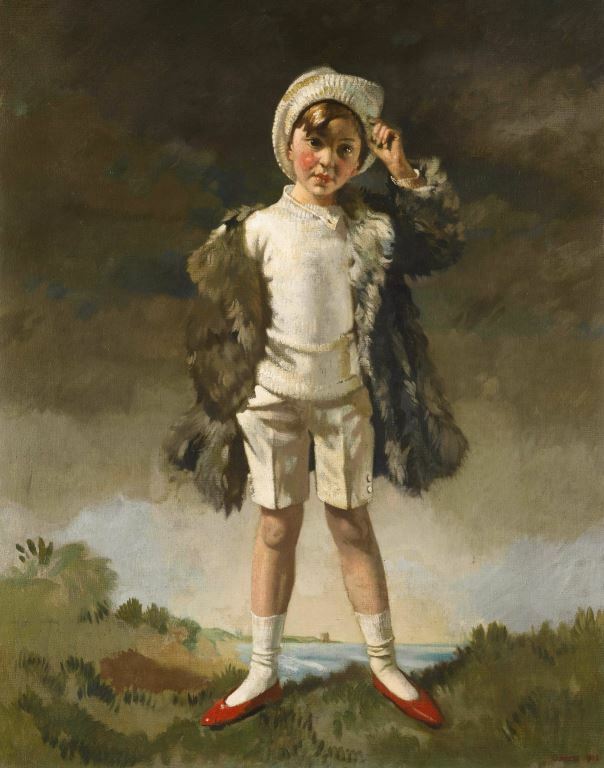 Sir William Orpen – Noll; Son of Oliver St John Gogarty signed and dated Orpen 1913 (£100,000-150,000). 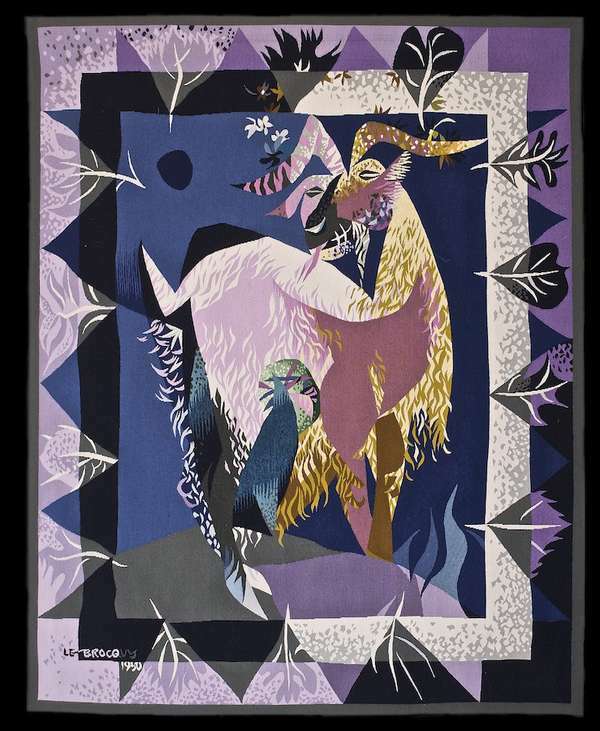 Louis Le Brocquy – Allegory, Aubusson Tapestry (£60,000-80,000). 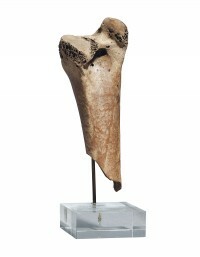 The Dodo bone, image courtesy Christie’s images Ltd., 2013 (Click to enlarge). UPDATE: IT MADE £8,125. A Dodo bone crops up at Christie’s Travel, Science and Natural History sale at South Kensington on April 24. The fragment of a femur is believed to be the first dodo bone to come to auction since 1934. First recorded by Dutch sailors in 1598 on Mauritius the dodo was driven to extinction in the late 17th century. This femur bone was almost certainly excavated in 1865 at Mare aux Songes, in the South-East of Mauritius during the famous dig by George Clark (1807-1873), a natural history enthusiast. Comprising over 260 lots, the auction features curiosities of natural history, globes, scientific instruments, rare books and maps, paintings and works of art from the ages of exploration. 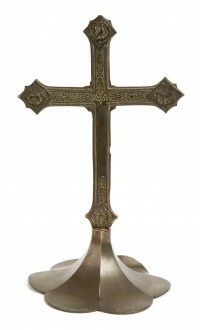 NEWLY ACQUIRED CROSS ON VIEW AT NATIONAL MUSEUM, KILDARE ST.
An image of the mid-15th century cross; copyright National Museum of Ireland. (Click on image to enlarge). A newly acquired mid-15th century copper alloy cross from Co. Waterford has just gone on view at the National Museum of Ireland, Kildare St., Dublin. The cross was donated by the Madden family on behalf of their late mother, Mrs. Bridget Madden (née Kelly) of Ferrybank, Waterford. Possibly from Caorbally, near Dunmore East, the cross was in in the possession of Mrs Madden’s family for several generations. Its exact provenance is unknown. This is one of about a dozen later medieval period altar crosses known from Ireland. Such crosses were made in England in the 15th and 16th centuries and are found throughout western Europe. Relatively simple in design the front is decorated in a foliate pattern and the four evangelists are represented on the cross terminals and base. There is also an undecorated space on the front where a crucifixion figure would originally have been mounted. There is an ‘IHC’ monogram on the back of each terminal and on the base representing the Greek version of the first three letters of the name of Christ. It is mounted on a separate lobed pedestal, likely to be of a date later than the 15th century. 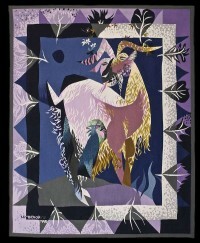 Posted in Miscellaneous | Comments Off on NEWLY ACQUIRED CROSS ON VIEW AT NATIONAL MUSEUM, KILDARE ST.
Picasso’s La Reve. (Click on image to enlarge). Bloomberg reports that hedge fund manager Steve Cohen has bought Picasso’s La Reve for $155 million from casino owner Steve Wynn. This is the highest price paid by a US collector for an artwork. In 2011 the Qatar royal family paid more than $250 million for Cezanne’s The Card Players. Wynn previously agreed to sell La Reve to Cohen for $139 million in 2009. This sale was cancelled after Wynn, who is suffering from an eye disease, accidentally put his elbow through the canvas. The work has since been superbly restored. 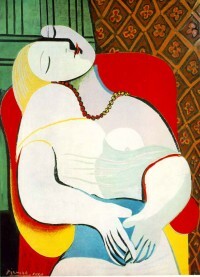 La Reve depicts Marie Therese Walter, who was Picasso’s mistress and the mother of their daughter Maya. 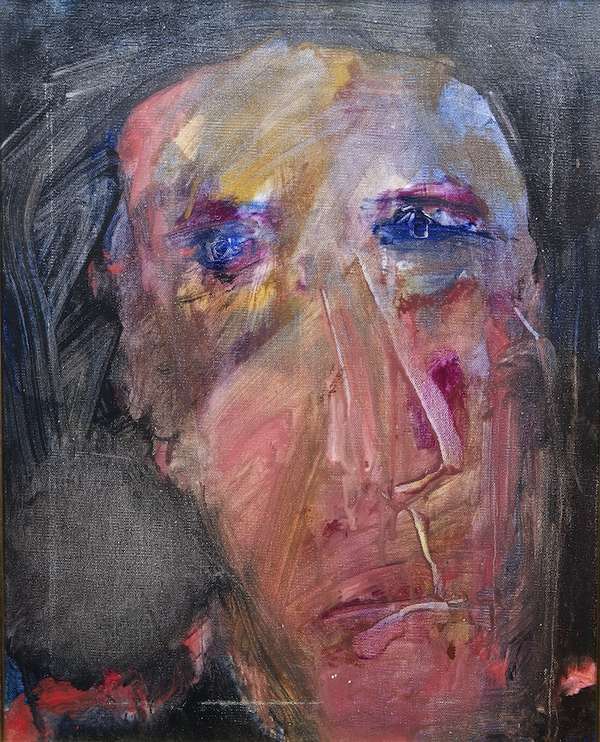 Cohen, who started collecting in 2001, is one of the world’s biggest art collectors. 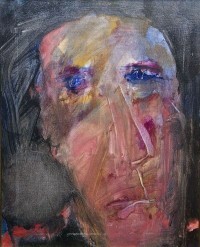 His taste has since shifted from Impressionist to Contemporary art. Seahorse ‘Registration’ sheet (click on image to enlarge). Seahorse ‘Registration’ sheet (click to enlarge). 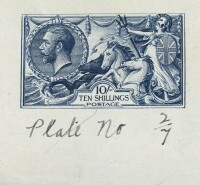 AN extraordinary range of stamps from The British Postal Museum & Archive will come up at Sotheby’s in London on July 11. 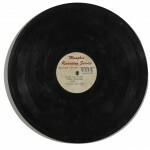 The auction will comprise material duplicate to the archive collection. 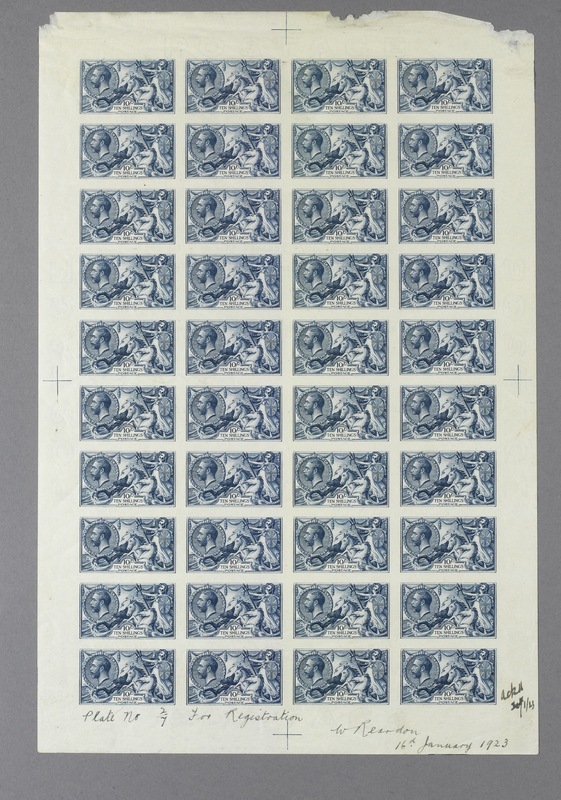 Stamps from ‘Registration’ or ‘Imprimatur’ sheets are among the most highly prized items among stamp collectors. 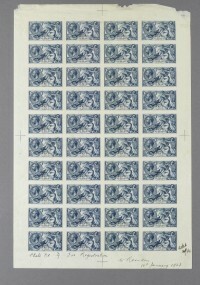 Only two of these special sheets were ever produced for each stamp in this sale. The BPMA is to retain the original sheet which, due to its protected status, will never be sold; Sotheby’s will present for sale elements of the duplicate Registration sheets. No other examples of these items will be made available. This is a once-in-a-lifetime event for collectors. 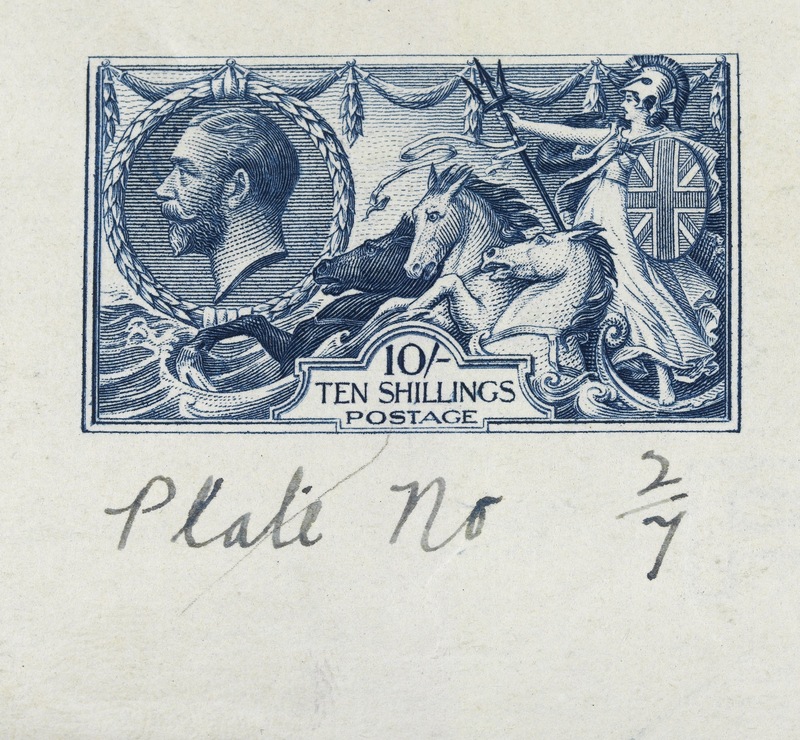 In the July sale collectors will have a choice of selected issues from the reigns of King George V (Seahorse issues), King Edward VIII and King George VI (definitive issues). A total of 191 lots is estimated to bring in excess of £5 million. A second sale takes place in February 2014. Proceeds go to the new home of the archive at Calthorpe House at London’s Mount Pleasant due to open in early 2016. Another view of the Meissen Monkey. (Click on image to enlarge). AN exceptionally rare white Meissen monkey modeled around 1732 by Johann Joachim Kändler is a highlight at Sotheby’s in London on May 1. 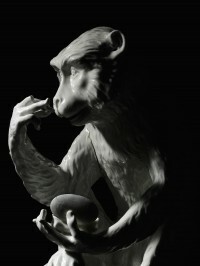 Depicted taking snuff, the monkey was commissioned by Augustus II, the Strong, Prince Elector of Saxony and King of Poland, and displayed in his porcelain menagerie at the famous Japanese Palace in Dresden. Estimated at £200,000-400,000 it is the highlight of the sale of the Meissen Collection of Sir Gawaine and Lady Baillie. Only two other examples are known – one in the collection of the Rijksmuseum in Amsterdam and the other in the Dresden State Art Collections. Meissen menageries in private hands. 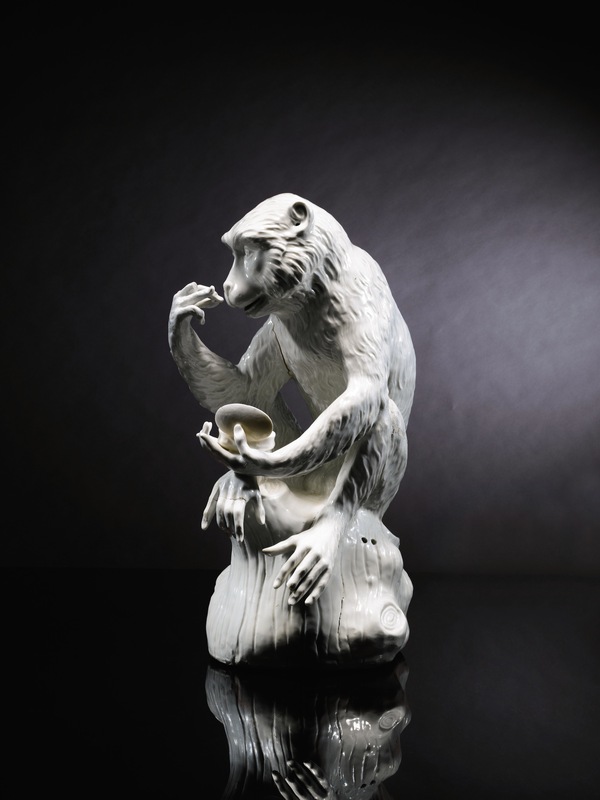 UPDATE: THE Meissen Monkey sold for £818,500. The Baillie Collection comprising around 140 works, made £4.03 million. 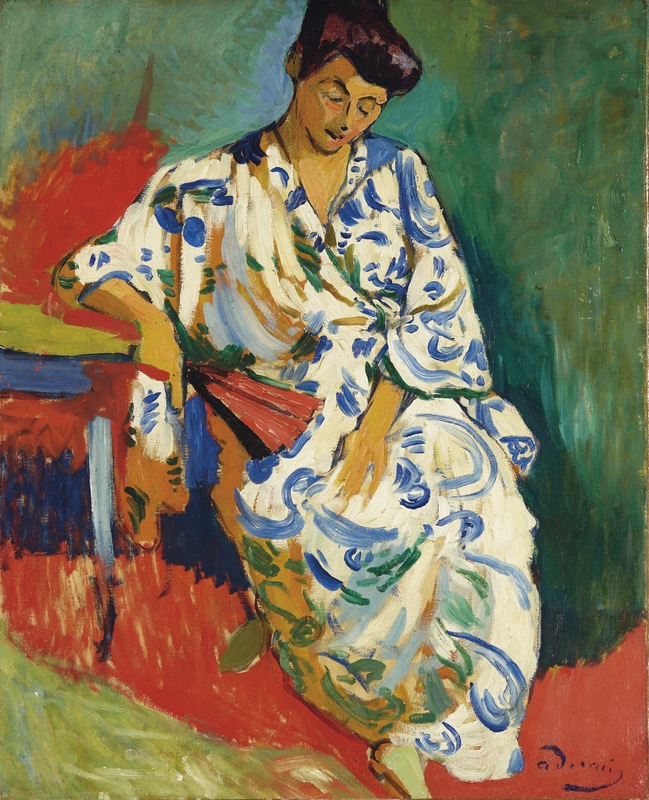 Andre Derain – Madame Matisse au kimono courtesy Christie’s Images Ltd., 2013. (Click on image to enlarge). A portrait by André Derain of Madame Matisse will highlight Christie’s sale of Impressionist and Modern Art in New York on May 8. Madame Matisse au kimono, a high fauve masterpiece, is estimated at $15-20 million. It is the most important portrait by Derain ever to appear at auction. The painting is from the summer of 1905 when Derain and Matisse embarked on a frenzy of painting in Collioure that would change the course of modern art. Derain painted Amélie Matisse in August 1905 prior to the Salon d’Automne exhibition, when fauvism exploded. 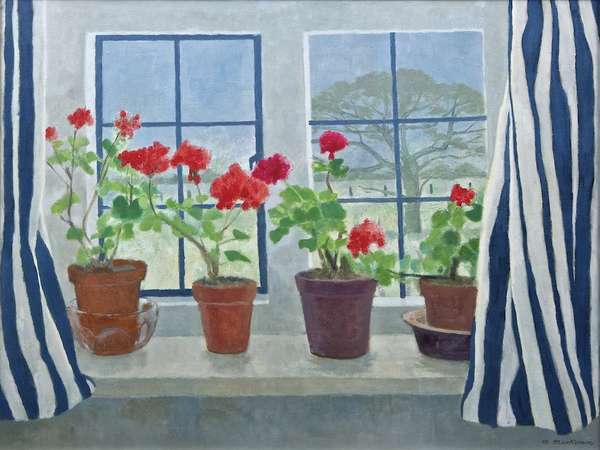 The work has been in a private European collection for the past 40 years. Derain depicts Amélie in the elegant, patterned Japanese kimono which she often wore and in which she was painted by her husband, as well as several of his other fauve colleagues. 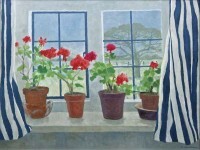 The abstracted background of greens and reds serves to heighten the imposing presence of the sitter, and calls to mind the same colors that Matisse used in in the background of his famous portrait of Mme Matisse, La Raie Verte, painted in September 1905, and now in the Copenhagen Staatens Museum for Kunst. 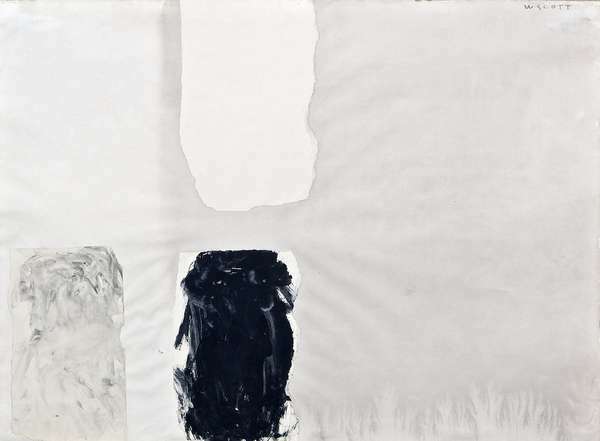 UPDATE: The work failed to attract a single bid and was unsold in an auction which generated $158.5 million. The top lot was Le Petit Patisier by Chaim Soutine which made just over $18 milion. A total of 44 out of 47 lots on offer found buyers. 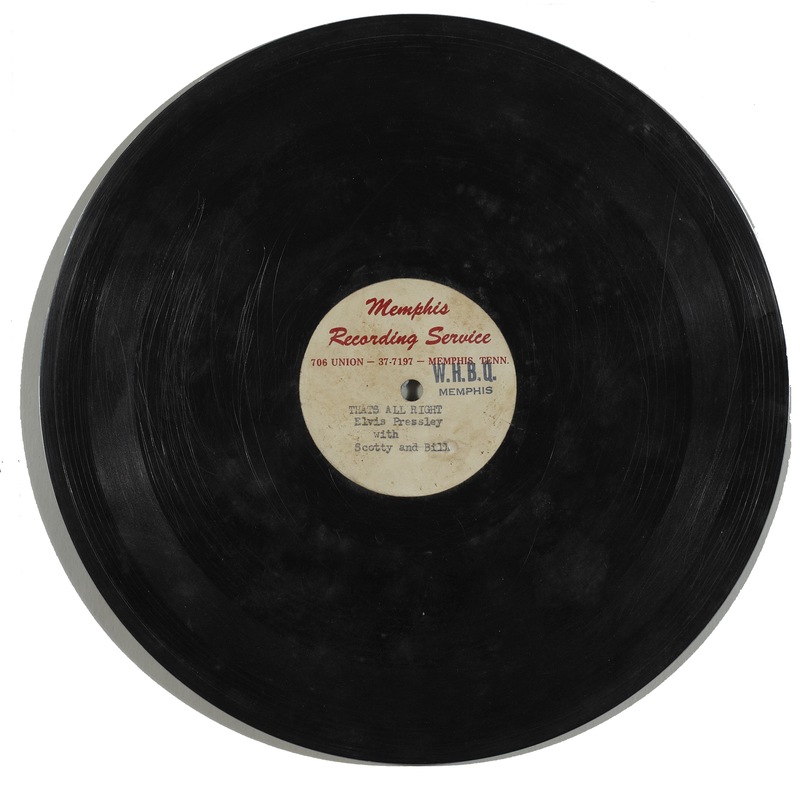 This original Elvis Presley acetate recording made 64,000 at Whyte’s in Dublin. 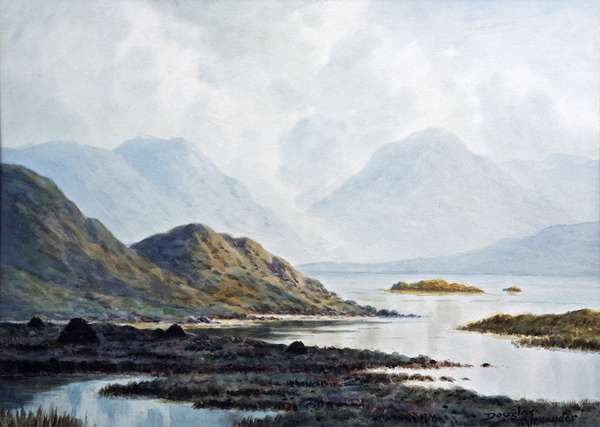 A total of 165 lots of Irish art will come under the hammer at James Adam on March 26. Here is a small selection. The catalogue is on-line. 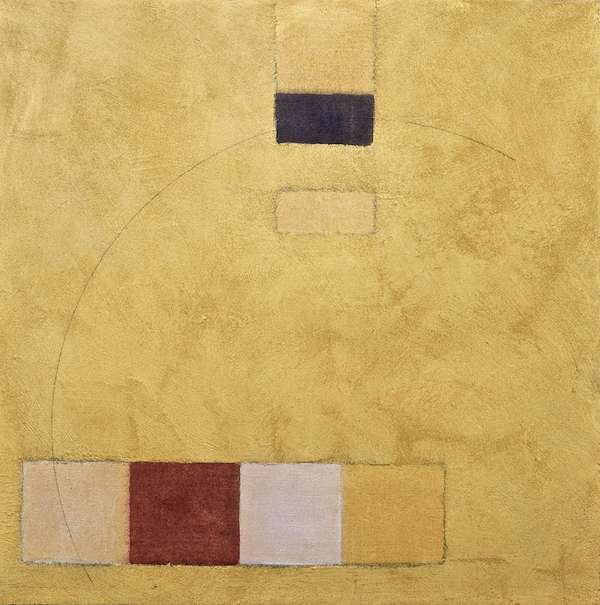 Felim Egan (b.1952) Abstract, (1,000-1,500). UPDATE: THIS WAS UNSOLD. William Scott RA (1913-1989) Untitled, c.1962 (10,000-15,000). UPDATE: THIS WAS UNSOLD.